The Department of Trade and Industry-Construction Industry Authority of the Philippines (CIAP) thru its human resource development arm, the Construction Manpower Development Foundation (CMDF) is developing the construction industry’s manpower to be globally competitive. The Foremanship Training and Certification Program’s (FTCP) pioneer batch began in April and finished in May 2017. CMDF conducted the program with 25 participants in partnership with Makati Development Corporation (MDC). 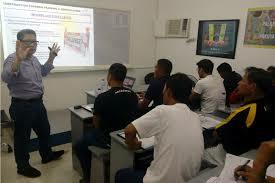 FTCP is designed to develop construction foremen, have them learn skills in teamwork, supervision, communication, problem solving, documentation, labor management relations, work productivity, planning and scheduling, implementation of safety and environmental program and quality assurance, and aims to increase competency and competitive advantage of Filipino foremen. FTCP is a 5-day program where the first 4 days are dedicated to lectures on foremanship and the last day includes a written and oral examination.